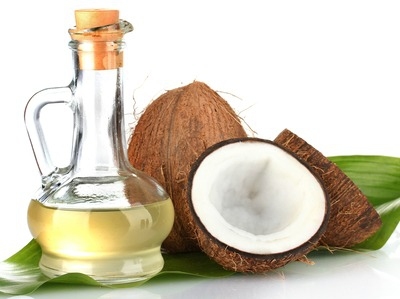 Does Oil Pulling Really Treat Health Conditions? Promoters of oil pulling claim that it works by “pulling out” the toxins, which in ayurvedic medicine are called ama. Oil pulling practitioners claim that it has the capability to improve systemic and oral health, including helping with conditions like acne, asthma, diabetes mellitus, migraines, headaches and also in whitening teeth. Is this all true? Oil pulling originates from ayurvedic medicine, which is an Indian traditional medicine (ayus meaning life, veda meaning science or “science of life”). In South Asia, ayurvedic medicine remains an influential system of medicine and it is now spreading to the rest of the world. Oil swishing or oil pulling is a traditional remedy where oil is “held” (snigdha gandoosha) or “swished” (kaval graha) in the mouth. All a person requires is one bottle of oil and about 10 to 15 minutes of time. Whitens teeth: The oil contains natural antiviral and antibiotic properties that clean and brighten teeth. Increases energy: Oil pulling removes toxic waste from the body thus lowering the amount of work the body has to put in to remove those toxins. Detoxifies the body: Oil pulling removes toxins from the mouth before they even get to the rest of the body thus giving the body a complete oil pulling detox. Helps in hormonal changes: Since oil pulling gets rid of foreign substances, hormones are able to behave as they should without going off balance. Reduces headaches: Oil pulling eliminates bacteria from your body thereby avoiding headaches. Keeps your skin clear: Oil pulling removes toxins from the body’s bloodstream meaning the skin is able to stay clear. Promotes oral hygiene: Oil pulling helps to eradicate bad breath and also prevents tooth cavities. For oral hygiene, sesame or coconut oil is recommended. This is because their abrasive powers are mild and they have healing benefits that are more than those found in other oils (and are also less harmful). Dentists have remained skeptical about the benefits that are claimed to come from oil pulling. Reliable scientific proof of the risks and benefits is scarce. According to the American Dental Association, the research done on oil pulling is insufficient. The ADA recommends brushing of teeth twice each day using antiseptic mouthwash and flossing instead of oil pulling. The research available on effectiveness of oil pulling on curing other diseases is also very little. Some warn that there may be some negative side effects if the techniques used are improper. Examples of these negative side effects include loss of taste or sensation in mouth, exhaustion, muscular stiffness, excessive thirst and dry mouth. If you are in search of a natural way of boosting oral health, try oil pulling. You will most likely get the same benefits as you would using commercial mouthwash. But do not hold high expectations for other claimed benefits. Pour 1 tablespoon of the oil before eating any food or drink in the day and before you brush your teeth. Swirl the oil around for 10-15 minutes, which allows the oil to mix with the saliva, thus absorbing toxins from your mouth. Spit it out and use warm water to thoroughly rinse your. You must spit out the oil when it starts to feel thick, no longer than 20 minutes. Sunflower and virgin olive oils are commonly used in oil pulling. Varieties processed with additives like canola oil should be avoided. DO NOT swallow the oil after 15 to 20 minutes because it now has toxic waste, bacteria and microbes. Spit the oil in the toilet or a waste basket. Thoroughly rinse your mouth using water after the process. Oil Pulling Therapy is best scheduled early in the morning when you are on an empty stomach and after you have brushed your teeth and cleaned the tongue. After Oil Pulling, wash the mouth then drink and eat. There is no time gap needed. As for the frequency, most people who have recommended it online do it about 4 – 5 times each week. To prevent the nose from blocking during the process, clean then blow your nose before starting. If you have the oil in your mouth, slowly blow the nose. If necessary, repeat the therapy process. Irritation/sensation can cause coughing or sneezing when oil pulling. Avoid irritation by oil pulling slowly and when you are relaxed.